After a few too many years spent trying - and failing - to find the perfect fitted turtleneck sweater, blogger Natalie Joos decided to create her own. 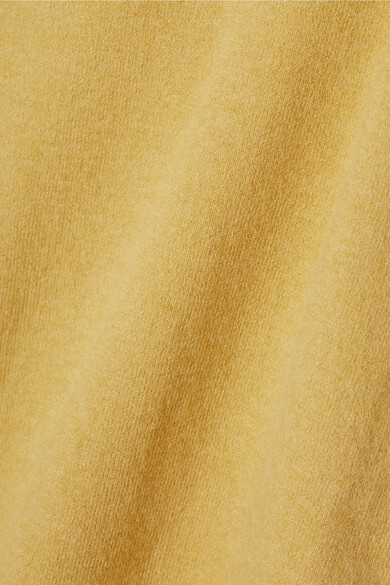 This version is made from the label's signature "peachskin" stretch cotton-blend fabric that feels so soft. 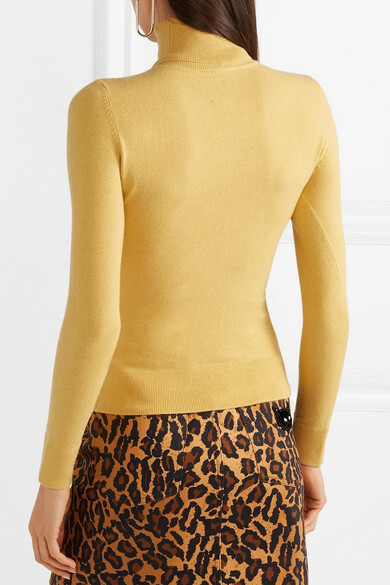 The 'Marzipan' yellow hue works equally well with bold prints - think leopard or zebra - and inky denim. Shown here with: Mother Skirt, Chylak Shoulder bag, Golden Goose Deluxe Brand Sneakers, Jennifer Fisher Earrings.